G. A. Bradshaw, who holds doctorates in ecology and psychology, is director of the Kerulos Center. 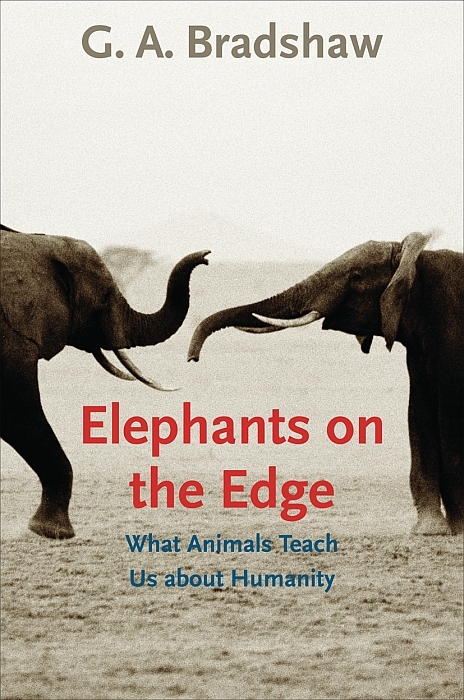 Her work on elephants, chimpanzees, parrots, and other animals is frequently featured in the national media, including the New York Times, NPR, 20/20, Time magazine, the London Times, National Geo­graphic television, and National Geographic magazine. She lives in Jacksonville, OR. Favorite Science Books of 2009, Scientific American. Received an honorable mention in the Psychology category of the 2009 PROSE Award, presented by the Professional and Scholarly Publishing Division of the Association of American Publishers.